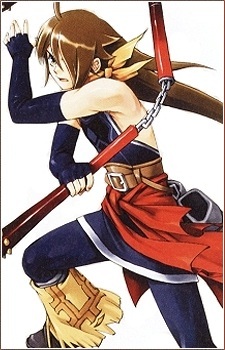 Roy is the Chizoku Star (The Thieving Star) in Suikoden V. A petty thief who bares an uncanny facial resemblance to the Prince, Roy is a kid used by Euram Barows in a plot to damage the Prince&#039;s reputation. Roy grew up hard on the streets of Rainwall, and when people told him he looked like the Prince, he was angry because the Prince was pampered and spoiled all his life. He jumped at the opportunity that Euram offered. He would be able to steal as much as he wanted, and smear mud on the Prince&#039;s name at the same time. The Prince went to Sable to find out the deal, and discovered Roy and his bandits in a hideout on Ranro Mountain. There, Roy explains himself, but Lyon simply tells Roy he is just doing what he wants and acting childish and selfish. Initially, he was going to give up, but what Lyon said made him so angry that he challenged the Prince to one-on-one combat. He loses, and Roy agrees that they can do whatever he wants to them. Roy&#039;s two assistants, Faylen and Faylon beg for Roy&#039;s life. They say they were put up to what they did, and they still have everything they stole, so they can return it. Roy tells them not to bother: Lyon was right, he was only doing what he wanted. However, Sialeeds realizes that Euram is behind this, and gets the bandits to go along with her plan. Roy waits in Sable while the Prince, with Faylen and Faylon pretend to attack Dinn, a disguised Lyon, and a disguised Sialeeds. When Euram comes to save the day, they attack, and reveal Roy when Euram complains that the Prince (who is disguised as Roy) didn&#039;t stick to the script. But the Prince reveals Roy to the crowd, and the people of Sable are incensed, turning on Euram. Roy thinks he is pardoned, but Sialeeds does not agree. She wants Roy to come back to the Prince&#039;s army and act as his double for strategic purposes. Roy agrees, because he promised to do whatever they wanted. Roy often disguises himself as the Prince and causes all sorts of trouble in the castle. He loses to Linfa at cards, insults Moroon, and tries to peek on Lyon and Miakis in the bath. Despite this, Roy performs his duties as the Prince&#039;s double remarkably. Lucretia tricks the Godwins into thinking the Prince relocates to Raftfleet by using Roy, and, during the Queen&#039;s Campaign War, Roy is the first vanguard, and attacks Alenia&#039;s troops with Zerase. After the war, Roy discovers a love for acting, and travels to the north. He trains really hard, and becomes an excellent actor.